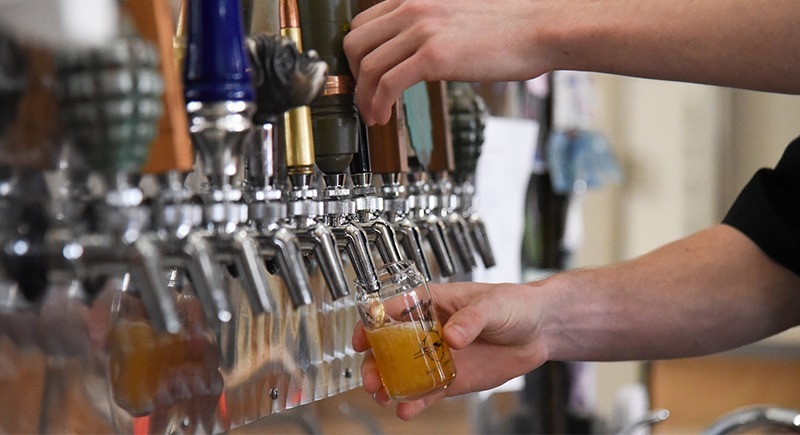 RICHLAND, Wash. – A seemingly unlikely partnership between Washington State University Tri-Cities and a local brewing company has led to a range of support for student veterans. 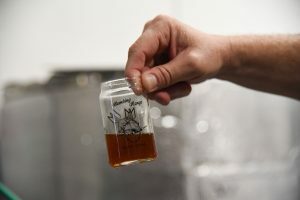 given so much of themselves,” said Mike Hopp, owner and brewer at Bombing Range Brewing Company. “It’s been a great partnership and a great collaboration of people. 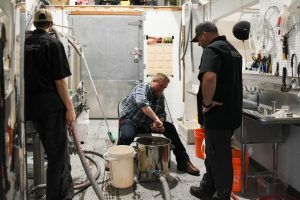 A WSU Tri-Cities student veteran works with Bombing Range brewers to make what would become the Bombing Range Brewing Company’s Lou Dog Red Ale. 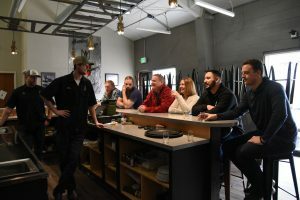 WSU Tri-Cities student veterans chat with Bombing Range Brewing Company owners while tasting a selection of their beers. 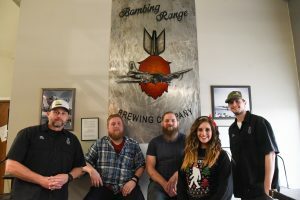 WSU Tri-Cities student veterans work with Bombing Range Brewing Company to brew a beer that would be sold a few weeks later through the company. A tasting glass of a mixture that would become the Bombing Range Brewing Company’s Loug Dog Red Ale. spring, the duo will work once again to produce their second round of their GIPA. 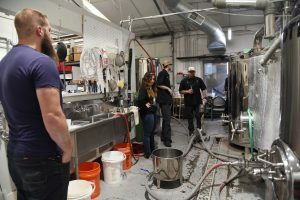 The group will get together in March to produce the beer and then will have a release party, which is open to the general public, on April 13. The time of the event will be announced soon. Gagnier said she is excited for the partnership to continue.